Modeled after the State of Indiana’s historical marker program and many successful municipal programs, the Indiana University Historical Marker Program notes significant people, places, events, and organizations that have had an extraordinary impact on the university, state, nation, and world. The markers are visually appealing and are installed on campus and at off-campus heritage sites where appropriate. The Indiana University Historical Marker Program is directed by James Capshew, University Historian. 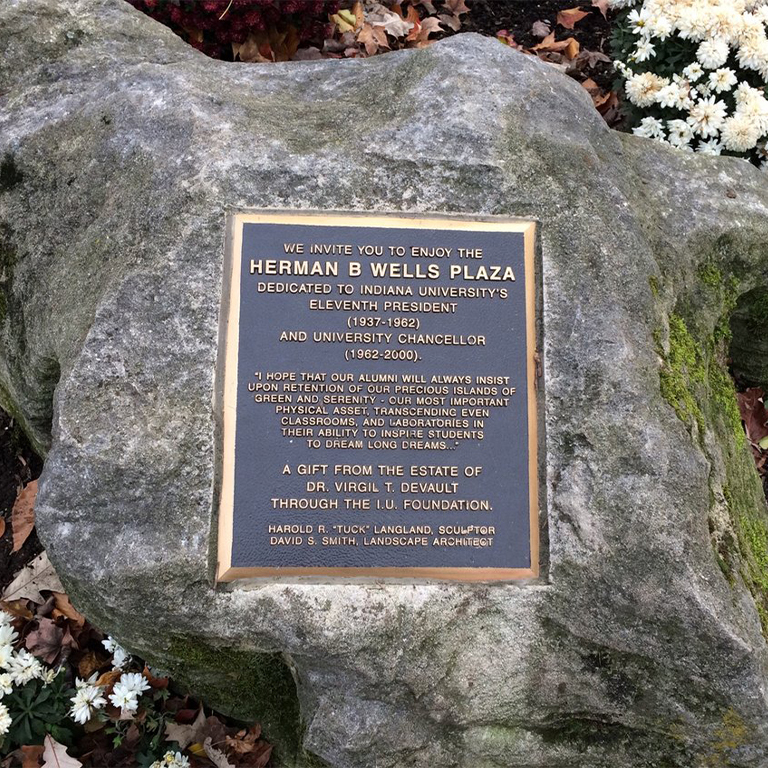 Historical markers will be affixed to boulders and placed in a natural setting. This committee is appointed by the University Historian and is comprised of approximately 15 voting faculty members and five ex officio members who will assist the University Historian with evaluating nominations, conducting research, determining historical marker locations, and writing historical marker text. You are welcome to nominate topic(s) to be considered for an IU Historical Marker. Before nominating a topic for a historical marker, review the program’s policy. Other avenues of recognition should be pursued before nominating a topic for a historical marker. This includes university alumni awards, faculty recognition awards, honorary degrees for living individuals, internal and external facility names, and other university recognition programs.